We recommend checking out our discussion threads on the ASUS PB238Q 23" Widescreen LED Backlit IPS LCD PB238Q, which address similar problems with connecting and setting up Computer Monitors ASUS. The user manual for the ASUS PB238Q 23" Widescreen LED Backlit IPS LCD PB238Q provides necessary instructions for the proper use of the product Computers & Solutions - Monitors & Displays - Computer Monitors. Utilize ASUS exclusive QuickFit Virtual Scale for real-size document, photo, and grid mode on top of operating windows on the screen. The integrated SPLENDID video preset modes allow for a variety of viewing options including standard, game, theater, scenery, and night view mode further enhancing the picture quality. Along with the SPLENDID video presets, the PB238Q comes with 3 skin tone selection modes including reddish, natural, and yellowish giving you the ability to adjust picture quality for human subjects on the screen. Many of the options such as SPLENDID Video Preset Mode Selection, Auto Adjustment, Brightness Adjustment, Volume Adjustment, Input Selection, and Quick Fit found within the PB238Q can be accessed via a hotkey for added convenience. Box Dimensions (LxWxH) 26.0 x 15.2 x 9.8"
The user manual for the ASUS PB238Q 23" Widescreen LED Backlit IPS LCD PB238Q can be downloaded in .pdf format if it did not come with your new computer monitors, although the seller is required to supply one. It is also quite common that customers throw out the user manual with the box, or put the CD away somewhere and then can’t find it. That’s why we and other ASUS users keep a unique electronic library for ASUS computer monitorss, where you can use our link to download the user manual for the ASUS PB238Q 23" Widescreen LED Backlit IPS LCD PB238Q. 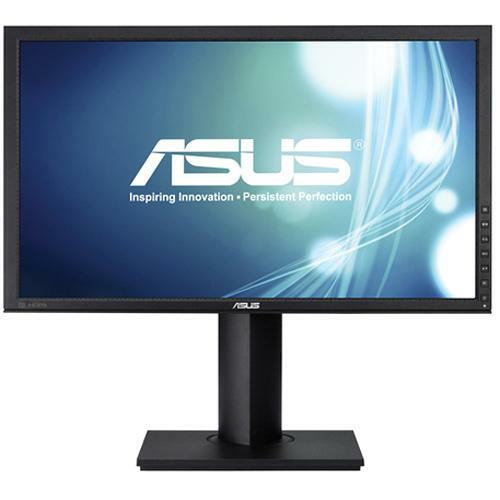 The user manual lists all of the functions of the ASUS PB238Q 23" Widescreen LED Backlit IPS LCD PB238Q, all the basic and advanced features and tells you how to use the computer monitors. The manual also provides troubleshooting for common problems. Even greater detail is provided by the service manual, which is not typically shipped with the product, but which can often be downloaded from ASUS service. If you want to help expand our database, you can upload a link to this website to download a user manual or service manual, ideally in .pdf format. These pages are created by you – users of the ASUS PB238Q 23" Widescreen LED Backlit IPS LCD PB238Q. User manuals are also available on the ASUS website under Computers & Solutions - Monitors & Displays - Computer Monitors.